My buddy Klint and I braved West Philadelphia’s streets back in April of 2011 to catch a show by Skull Defekts (featuring Daniel Higgs) and Zomes. Previous clips from that night have appeared on OV but for some reason I never finished editing and uploading the entire show. I found the folder while rummaging through a backup drive earlier today and randomly grabbed, edited and uploaded a song from the set for you folks who’ve patiently waited for three years to see the whole thing. I think it’s fair to say that the music of Daniel Higgs- whether with the seminal Baltimore based LUNGFISH, his more free-form solo offerings or his partnership with Swedish experimental outfit SKULL DEFEKTS- is critic proof. You’re either going to buy it or you aren’t. No review could dissuade a Higgs fan from purchasing his latest offering in whatever form it comes in regardless of the vitriol of the reviewer. Speaking for myself- I buy them all, figuring that the best of his worst is still more interesting to me than most of the new releases that will drop along side of it. April 8th 2014 will see a new Higgs/Defekts collaboration- Dances In Dreams Of The Known Unknown– on Thrill Jockey Records. With any luck they’ll be touring to support the album and we’ll have a chance to hear the new material live. The band has released a single and a video for Awaking Dream; check it out and let me know what you think. 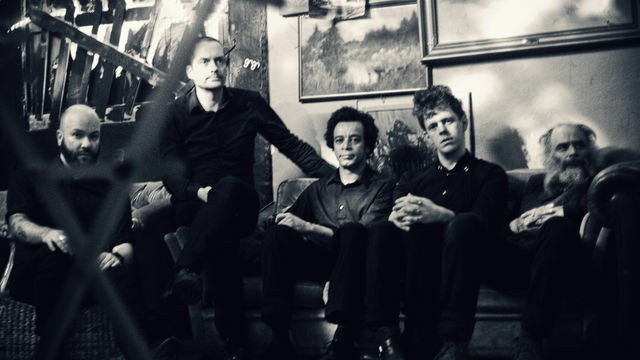 The Skull Defekts – Awaking Dream from Thrill Jockey Records on Vimeo. Buying records in Philadelphia is much harder than it should be. While we have a few decent record stores, none of them ever seem to actually get new releases (at least in the two weeks surrounding their release) instead offering a friendly “we can order it for you though” in place of the CD/LP/Cassette I want. So while waiting for ‘The Godward Way’ to arrive from Thrill Jockey I swung by Repo Records on South Street to see if there was anything new and interesting out that I may not have heard of and was surprised to see yet another new Higgs release. As the cover art suggests a mighty lion holding the sun, eating floating green diamonds, we bet the track “Throne Of The Kind A Light Upon My Mind“ will get your lion a little more iron! The link above has both the cassette and the digital download, for whatever tickles your fancy. For folks into the music of former tattooer/Lunfish singer/poet Daniel Higgs, Southern Records has released a new Higgs project on vinyl and cd titled “The Godward Way”. 1 song, 23 minutes. 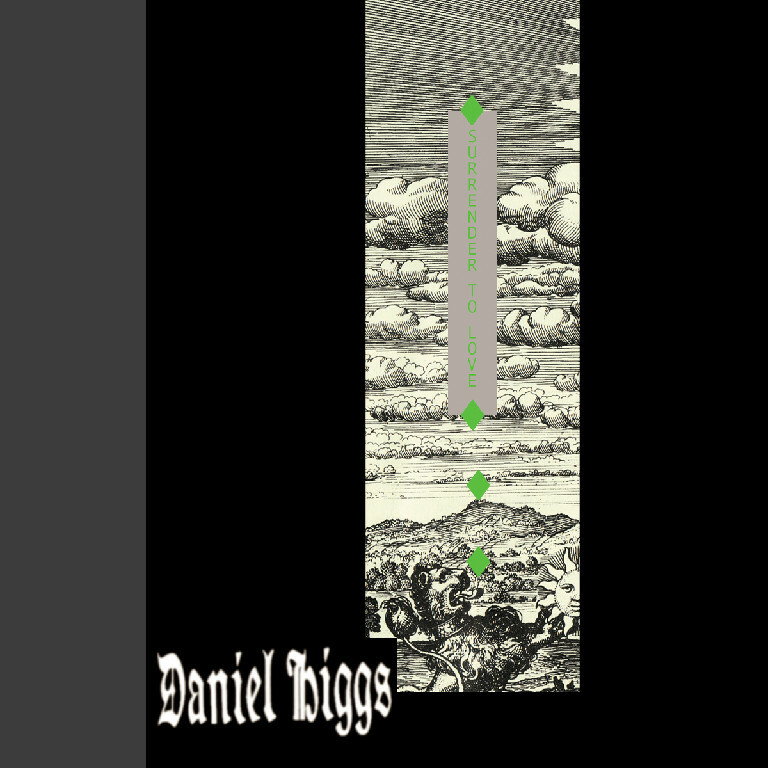 Exclusive recording from Daniel HIggs, visionary artist and former frontman of Lungfish. 500 numbered, hand-packaged CDs in foil blocked origami style folder with colour insert. Also available in an edition of 1000 LPs – 180gm white or black vinyl with numbered, hand-packaged sleeves including foil-blocked inner and colour insert. Cover artwork by Daniel Higgs. I ordered mine from Thrill Jockey, but if you’re a vinyl collector and you want both colors (I think TJ only got white? I may have read it wrong) you can order directly from Southern. 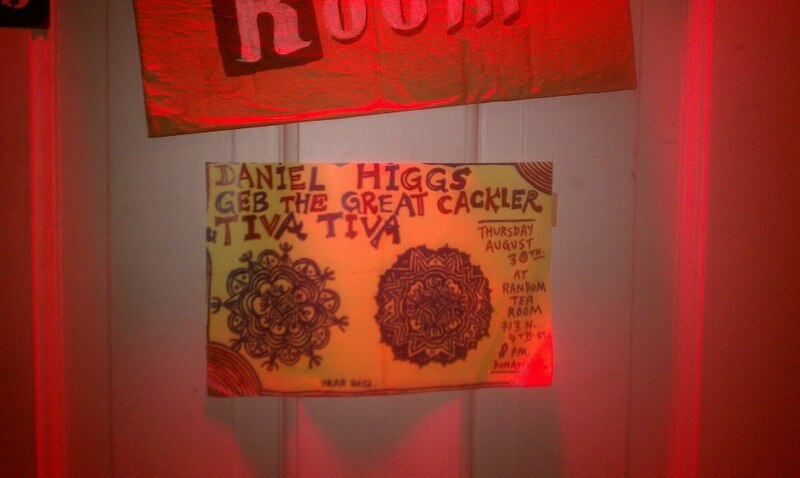 My friend Robin shared this with me; regrettably I’ll be working that night, but for anyone in the Philadelphia area that might be interested, Daniel Higgs will be performing at the Random Tea Room on 4th Street in Philadelphia August 30th (it’s a Thursday) 2012. Daniel played an amazing two sets when I saw him a few weeks ago at Zebulon; mostly banjo but a few songs (including one that I had never heard before) thrown in for good measure. Worth checking out if you have the night free! Tea is about nourishing the body, tonifying the spirit and making new friends, but The Random Tea Room isn’t only about tea. Vintage and antique pieces are also available for purchase, not to mention delicious baked goods, French-pressed Old City coffee, and locally made jewelry and skin care products. We also offer free wireless internet so you can surf while you sip. Most of all, we look forward to spreading the good will of Tea and growing with the community, cup by cup, pot by pot. First and foremost, a sincere thanks to the folks who’ve contributed to my birthday giftcard bonanza. I really appreciate it. Austin will be the first city I visit, so anyone local… I’ll be seeing you soon! My NYC Birthday trip is already looking like an amazing time; I was scheduled in NYC on Tuesday night, but after seeing the announcement from Robert about Harmonize Most High and Daniel Higgs playing at Zebulon in Brooklyn, I decided to come to town a day early. I’ve seen Higgs play live in various incarnations (Lungfish, solo, Defekts) but till now haven’t had the opportunity to see Robert perform. It promises to be a really good time; as always, if you see me tug on my shirt tail and say hi. Daniel Higgs has been busy of late; in the last several weeks I’ve put up announcements for two new releases (the impressive Beyond and Between from La Castanya which I’ve listened to several times and 2013-3012 with Skull Defekts and Zomes from Thrill Jockey which I’m still trying to sort out after a shipping mistake on my part) and there’s already a new project hitting the ether. Purchase comes with mp3 downloads for those of us who don’t have cassette players. Echomancy means divination through music. The tapes are black, and the boxes are blindingly beautiful… copper foil embossed into 100% recycled card-board (30% post-consumer), no glue. Comes with bookband, photocard, insert, and mp3 download. This volume of Echomancy is represented by the symbol for the planet Mercury. For more information: The Measure of Mystery.